Ever since I started office work after being a home-based writer for three years, my lifestyle changed. Writing requires my brain to be fully functional, so I ate many times a day to stay awake. I also ate whenever I am stressed or not in the mood to write. Apart from that, I also lack exercise because I sit all day. In short, I went into an unhealthy lifestyle even if I never intended to. Soon, I was gaining weight. In addition, I easily get tired whenever I do a strenuous activity or just climb the stairs. I became alarmed by this, so my bf and I applied for a gym membership. Exercising helped in making me a bit healthy, but there was one hindrance: lack of time. My schedule changes every month, so I did not have a permanent gym schedule. I can exercise more when I am in the morning shift. As much as possible, whenever I have free time, I make sure to go to the gym. 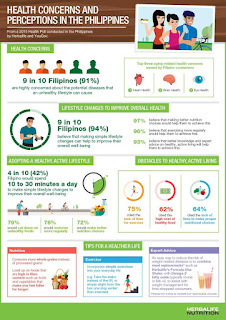 To be honest, I really want to have a healthy lifestyle, but the lack of time is a hindrance. 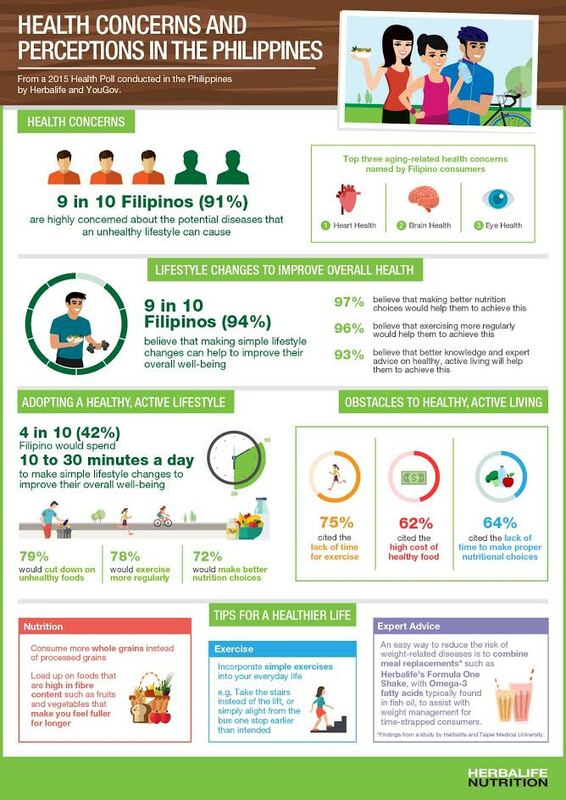 I think many Filipinos also feel the same way, based on a health poll conducted by Herbalife. The Herbalife NAB experts participating in this year’s Wellness Tour include: Dr. David Heber, who incidentally will be coming to Manila, is a leading expert in the field of nutrition and named as one of “The World’s Most Influential Scientific Minds” by Thomson Reuters in 2014 and considered one of “The Best Doctors in America”; Dr. Lou Ignarro, a Nobel laureate in Physiology or Medicine in 1998 for his discovery of nitric oxide’s health benefits; Dr. Gary Small, a specialist in brain health and aging who has authored over 500 scientific works and has received numerous awards and honors, including the “Senior Investigator Award” from the American Association for Geriatric Psychiatry; Dr. Marion Fltechner-Mors, a health nutrition specialist who is currently heading the nutrition and obesity research group at Ulm University, Germany; and Dr. Wang Jae Lee, a physician and academic specializing in immunology and a professor at Seoul National University College of Medicine.